A study out of Massachusetts General Hospital has found that some older adults have brains and mental acuity equal to people 20 to 30 years younger. They describe mature people whose memories are unusually resilient as “super agers.” Their brains have youthful characteristics, researchers said. The findings have important public health implications, researchers said. If there’s an opposite of super agers, it might be the older Americans who don’t get any exercise. The U.S. Centers for Disease Control and Prevention reported recently that more than 1 in 4 adults aged 50 or over got no exercise outside of work in the month before they were surveyed. This is an invitation to trouble, the authors of the report said. “Physical activity can help, delay, prevent or manage many of the chronic diseases for which adults aged 50 or over are at risk,” they wrote. For the CDC, the findings amount to a call for planners, health advocates and officials to find ways to get adults moving. The authors suggest a range of possibilities, from making streets and paths safer for pedestrians to organizing mall-walking programs. “Communities can be designed and enhanced to make it safer and easier for persons of all ages and abilities to be physically active,” they wrote. Make everyday activities easier with endurance exercises such as walking or riding a bike. Keep your brain active by working on activities you enjoy, such as crosswords, and by socializing. Establish a routine that helps you sleep well. Continue to get regular health screenings and immunizations as needed. The Harvard study, “Youthful Brains in Older Adults: Preserved Neuroanatomy in the Default Mode and Salience Networks Contributes to Youthful Memory in Superaging,” was published in the Journal of Neuroscience. Massachusetts General Hospital also published a press release about the study. The CDC report, “Physical Inactivity Among Adults Aged 50 Years and Older – United States, 2014,” was published as part of the Morbidity and Mortality Weekly Report and is downloadable from the agency website. The National Institutes of Health’s “Healthy Aging” page links to a variety of subtopics, from dealing with balance problems to quitting smoking. Providence has many resources to help you navigate the aging process. Earlier in the To Your Health blog, for example, we told you about mind games to keep your memory fit, and about how reading can help you live longer. If you’d like find ways to take better care of yourself as you age, talk to your health care provider. 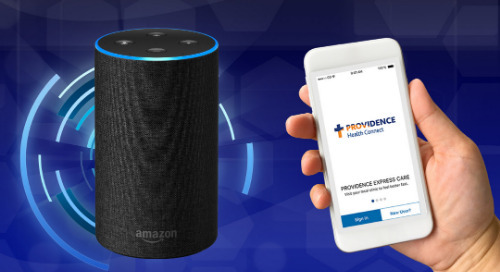 You can find a find a Providence provider here.